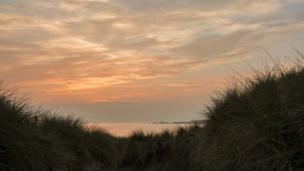 This picture of a sunset over Ynys Llanddwyn, Anglesey was taken by Rupert Jones. 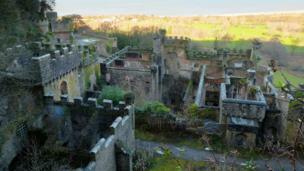 The derelict Gwrych Castle, near Abergele in Conwy, was photographed by Pete Whitehead, of Y Felinheli, Gwynedd. 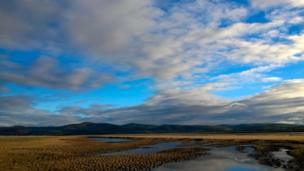 This panorama of Aberdyfi beach in Gwynedd was captured by Kevin Richardson, of Corris, Gwynedd. 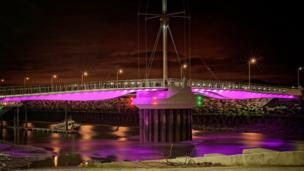 Rhyl's Pont y Ddraig bridge is illuminated in this picture by Martin Hughes, of Prestsatyn. 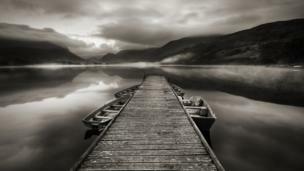 Early morning mist on Llyn Nantlle, Gwynedd taken by Iwan Williams, from Llanrug. 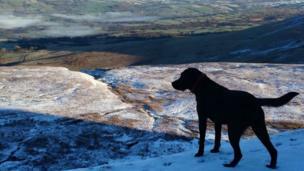 Sioned Edwards' labrador Dotty enjoys the view from a disused quarry on the Black Mountain, near Brynaman. 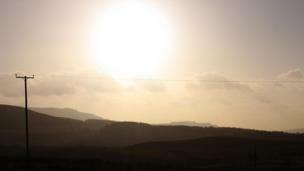 A telegraph pole at dusk on the road to Hirwaun, Rhondda Cynon Taf, captured in this image by Joss Ingram. 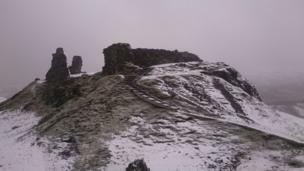 A winter image of Castell Dinas Bran, Llangollen, Denbighshire, taken by Clive Potter of Welshpool, Powys. 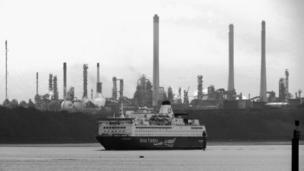 A ferry coming into dock with the refinery behind it at Pembroke Dock taken by Richie Hammond. 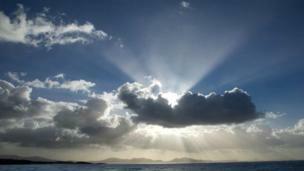 The sky above Aberffraw, Isle of Anglesey, looking out towards the Llyn Peninsula was photographed by Paul Downing. 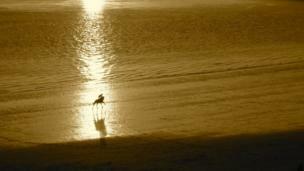 Emma James, who is from Barry, Vale of Glamorgan, but now lives in London, captured this picture of a horse enjoying a run out on the sands on Barry Island. 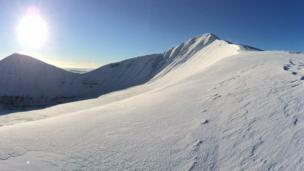 The snow on Pen y fan this week was photographed by James Godding, of Crickhowell, Powys.